Reflecting 2012 on it's last day I have to count the many blessings this year has brought me and my family. It was not always easy, I will never say that. In 2012 I welcomed a new family member, Renee Sinclair, had a successful year in business and had great health. I did how ever lose some lifetime friends in 2012 including George Wheeler. Looking forward to 2013, I do wonder what my success's will be and my failures. It really is exciting to reboot, is it not? Ultimately, I know that I do have hope and faith that it will be the best year ever. I would like to take this time to wish you and your loved ones a very happy new year. As always below is JibJab's year in review. Enjoy! Welcome to Selwyn Township. My Thoughts. To be honest I do like the name Selwyn Township. Was it my top choice? No, but I am not sure if I even had a top choice. There was so many bad names being thrown out there I am just glad the council picked this one that we can be proud of. Selwyn is originally an Anglo-Saxon name, also occasionally spelt Selwin, deriving from 'Sel' (castle/house) & 'wyn/win' (friend), roughly meaning "friend in the house" or "friend in the castle". The name Selwyn later became an English surname as well after the Norman Conquest of 1066 introduced the concept of family surnames to England. Its renewed popularity as a Christian-name in England in the 19th century was largely due to the fame of the eminent Bishop George Augustus Selwyn. Selwyn is quite uncommon as both a first name and family name. It was interesting that Chemong was not even on the radar of council in my opinion even though it was what was voted on. Only Councillor Donna Ballantyne supported the name. Chemong rated higher in the Research Summary if we did not choose Selwin (note the spelling) and the overall will of the people in the township supported Chemong as a new name. Votes received by the township had Chemong with 25% of the vote while Selwyn came in with 8% of the vote. Council seem to struggle at first how to proceed with the meeting until Deputy Mayor Andy Mitchell stepped in and suggested they should first vote if the name should be changed which carried 5-0. I felt after listening to the meeting that Selwyn was more a personal choice for the councillors that voted for the name not what the constituency wanted. The two councillors that voted against the name Selwyn seemed that they were not comfortable with Selwyn because their constituency did not want that name. I respect them coming to the table without personal feelings on the subject. I was surprised that before council concluded the final vote, the public did not have a chance to speak at the meeting. The motion was carried without that opportunity. One other note I want to make. Council made it clear Selwyn is not replacing Ennismore, Lakefield, Bridgenorth, Youngs Point, etc. It is a collective name of all of our community's. Deputy Mayor Mitchell also made it clear that all individual hamlets and towns will be celebrate in its fullest by the township. 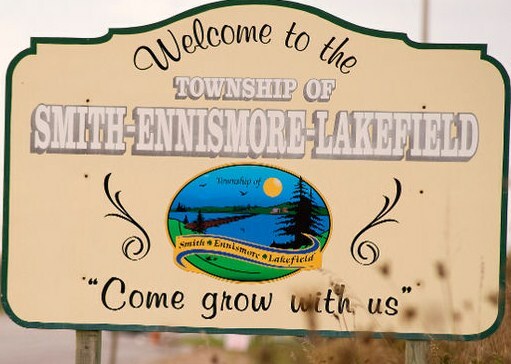 So Ennismore you will still be known as Ennsimore. Lakefield, you will still be known as Lakefield. You get the picture. Overall the process was not good and council recognised that. I was upset last night about it. After some more though, we had no choice to get this done as quickly as possible due to the changes of Canada Post. Good job by all involved. Welcome to Selwyn Township. 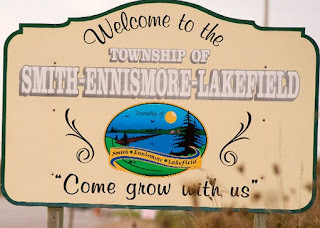 Home of Smith, Ennismore and Lakefield. The township hired Wedesign to conduct research and prepare a report that will give information to help select our new township name. The special meeting will be held today at 4:00 pm in Council Chambers. Out of the ten names given to Wedesign for consideration for the Township's rebranding, Wedesign came back with 5 names. Public opinion will play a large role in the decision. Chemong township received the most votes followed by SEL then Lakelands. The Examiner had also completed an online pole with Trinity ranking number one with Chemong coming in at number 2. What is this all going to cost? It is estimated by township CAO Janice Lavalley that it will cost taxpayers $45,000 to cover items like signage, pins, vehicle and equipment decals, new logo, website and online positioning. Janice Lavalley has also stated that there is a OMPF grant fund that can cover all cost so the name change will have no impact to ratepayers. We love our fireplaces. Fireplaces provide a bear hugging warmth in the dead of winter that just can not be replaced by any other type of heating. This said all fireplaces are not created equal. You have fireplaces that just give you atmosphere, others give a very efficient way to heat your home and some give you both. 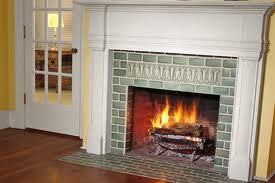 When buying a home with a fireplace there is some things to consider. The first question is it safe? The next question is it efficient? What is the benefits? To have a fireplace WETT certified you would hire a certified WETT technician to inspect the fireplace to determine it is safe. 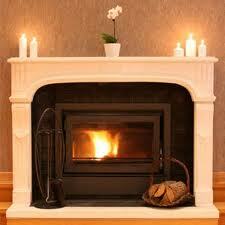 If it is safe the technician and company will certify that the fireplace is up to code and safe to use. The next question is the fireplace efficient. Conventional wood fireplaces are inefficient. They may steal more heat from your home then they produce. In the best case scenario it provides you with a nice light source. Airtight stoves and inserts are advanced combustion fireplaces that can offer high levels of energy efficiency. These devices can reduce dramaticly the overall demand of other fuels heating the home if not replace them. As with anything there is pros and cons. The biggest Pro is the heat is wonderful from fireplaces. 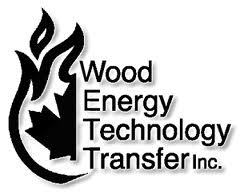 Wood is also a renewable source of fuel. Con is wood fireplaces are a ton of work and very messy. Brrrr! It's getting cold out there! At the best of times, icy and snowy surfaces can be hard to navigate, especially if you’re carrying an armoire! Plan to make sure that all paths are super clear at origin and destination. This includes paths to garages and out buildings, if goods need to be moved to or from there. If you have space in the garage or elsewhere, bring any outside items indoors in advance of the move so they will be free of snow. Our crews use floor runners to protect your floors inside the home, and clearing snow prevents it from getting on the floor runners and into your home. Have shovels and salt at both ends of your move should a surprise bout of snow show up on move day. Large sheets of cardboard are ideal to use in entranceways to help keep the snow outside where it belongs. Country homes, long driveways and cottage country - Be sure to clear out a large area where your driveway intersects with the road, to allow a large truck to access your driveway. Start plowing it out wide well in advance of the move. Long or hilly driveways should be cleared out at least 24hrs beforehand and salt should be laid down to dissolve any ice buildup. If you have a large-sized move to undertake, or both of your homes are closing on the same day, you may want to consider doing the move over 2 days. Bear in mind that daylight fades away in the early evening this time of year, which means it becomes more difficult to move your belongings in the dark. If you have both your homes closing on the same day, you can load up your existing home on the closing day, and hold your goods on our truck overnight. This would allow you to go over to your new home, clean and make any other preparations you would like, then the following morning your goods arrive at your new home, leaving you the whole day to unpack and get settled. Any liquids will freeze if on the truck for any extended period of time, so it’s not a good idea to pack them. Also, any canned foods should also not be packed, since if they freeze this will affect the sterilization of the food and there is a good chance it will become contaminated. Any items that have been on the moving truck for an extended period will be subject to freezing temperatures, and when they are brought into your new home they will begin to thaw out. Condensation and moisture will then build up, so it’s a good idea not to use electrical items for 24hrs. after they are unloaded into your home. If you are moving dishwashers, front load washers, fridges with icemakers, pressure washers etc., you will need to take special precautions to drain all water from these units, or run plumbing antifreeze through them. This can be a tricky process, so if you’re not sure, we can direct you to some appliance service professionals in your area. Bear in mind that when moving, your door will be open more often then closed, so have extra clothing on hand, especially gloves, hats and sweaters. Before you depart the origin residence, there may be some minor cleanup required if there’s snow on the ground. Keep mops, rags and cleaner on hand to give floors a quick wipe. Here’s wishing you a safe, worry-free and successful winter move! Please do not hesitate to give me a call if you would like a free in-home estimate. Great read for first time buyers. Great questions, great answers! A home can be one of the most personally and financially rewarding investments you'll ever make. But if you've never bought a home before, the process may seem a little overwhelming. We have answered the most frequently asked questions of first-time home buyers. Q: How can a mortgage specialist help me? A: Working with a mortgage specialist has a number of advantages, especially if you are a first-time homebuyer. Mortgage specialists have access to an entire network of resources to draw from on your behalf. They'll not only help with your pre-approval but also look at your whole financial picture and provide personalized advice based on your needs. That includes reviewing your mortgage options with you and making sure you get the mortgage that's right for you. Once your mortgage specialist says you are preapproved, you are - no last-minute surprises to worry about. This allows you to go shopping with confidence. A: A real estate agent makes it easier to find the right home and will offer you advice on what price to offer and any conditions you might want to consider including in your Offer to Purchase. If possible, get referrals from friends, family and co-workers. It's important to choose an agent who is familiar with the area where you are searching for a home. You may be spending a lot of time with your agent checking out homes, so be sure to choose someone you feel comfortable working with. Q: Is my credit good enough for me to be approved for a mortgage? A: One thing your lender will look at before approving you for a mortgage is your credit score - your record for paying your bills and repaying loans on time. In Canada, there are two main credit-rating agencies, Equifax and Tran-sUnion. These companies keep records of missed payments and overdrawn credit accounts. If you've ever had a credit card or applied for an account with a major utility, chances are your payment history is on record with one or both of these companies. If you have a good track record - that is, you've always paid your bills on time and made at least the minimum payment due on your credit cards - you will have a good credit rating. If your track record isn't perfect, that doesn't mean that you won't get approved for financing. If your late payments are in the past or date back to your student years but have since been paid on time, then you may not have difficulty in arranging financing. Your lender can help you assess your situation and provide advice as to how to improve your credit rating to get you ready to purchase your first home. You can get a free copy of your credit file by mail just by asking. For details, visit Equifax.ca or TransUnion.ca. A: If your down payment is less than 20 per cent of the purchase price of your home, you will require a mortgage that's insured against default. This insurance protects the lender in case you default on your mortgage payments and is required by law. There are two main mortgage insurers in Canada (Canada Mortgage and Housing Corporation and Genworth Canada). The cost will vary from 0.5 per cent to about three per cent of the total amount borrowed. The amount is usually added to your mortgage and the cost added in your regular payment. Q: What are "closing costs," and how much money should I set aside for them?
. Lawyer's or notary's fees. When you buy a home, you need to hire a lawyer to complete a title search (to make sure there are no outstanding liens against the property and that the vendor actually owns the property), ensure all the documentation has been accurately completed, register your mortgage and register you as the new owner of the property.
. Disbursements. These are costs that the seller has paid in advance, such as property taxes and utilities. You reimburse the seller for any prepayments that come into effect after you take possession of the home. The amount of these costs will vary, depending on where you live and what kind of home you're buying. As a guideline, you can estimate that closing costs will be about 2.5 per cent of the purchase price of your home, though this may vary greatly. In addition to closing costs, remember that you may also need to budget for appliances (if not included with the home), utility hook-up, redecorating and paying a professional mover.